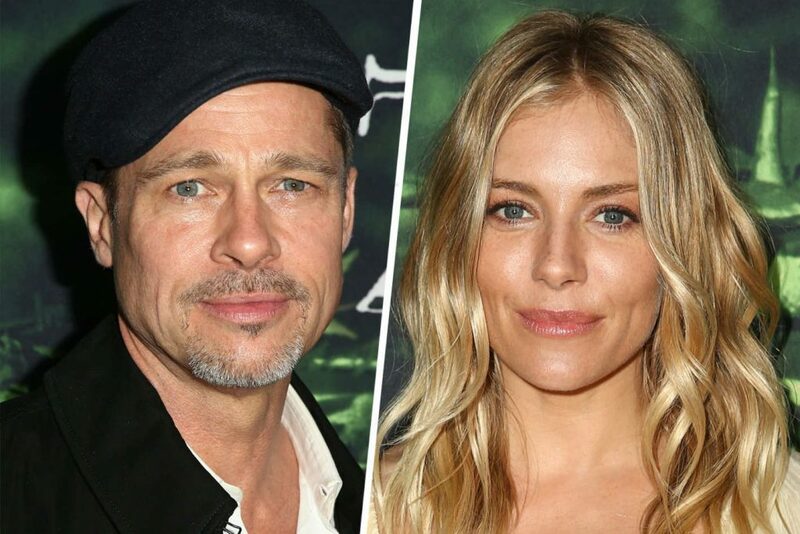 Brad Pitt Interested in Sienna Miller? Since becoming single last year, Brad Pitt has surely been associated to a lot of famous women. The famous actor and his wife, Angelina Jolie, separated in 2016, and as imagined the divorce was not free of allegations. Actually, Brad was linked to a huge scandal, the famous actor being accused of physical and verbal abuse against one of his children. Well, the actor has been cleared of the allegations and he seems to be moving on now. Since the split, Brad has been linked to several stars, including actress Kate Hudson. Some rumors said that the Hollywood actor was also back in touch with his former wife, Jennifer Aniston. Well, now, the rumors claim that the actor could in fact be interested in Sienna Miller. According to a new report from Page Six, Brad and Sienna were spotted together, enjoying a great time. The report claimed that the two stars were actually talking to each other all night during a private dinner. The two were seen at a restaurant near the ArcLight movie theater in Los Angeles. The magazine reported that the dinner was held after the premiere of The Lost City of Z, and was attended by about 25 people. However, the report said that the two did some “serious flirting” and seemed to be very interested in each other. Furthermore, they talked to each other all night and enjoyed each other’s company. A source went to say that Brad was very happy and actually he seemed happier than he had been for a long period of time. Of course, the rumor is yet to be confirmed, but it is important to mention that this has not been the first time when the two stars have been linked. In fact, Brad and Sienna were also linked back in 2015, when they worked together, with rumors saying that the two were seen flirting. At that time, Sienna denied the rumors.